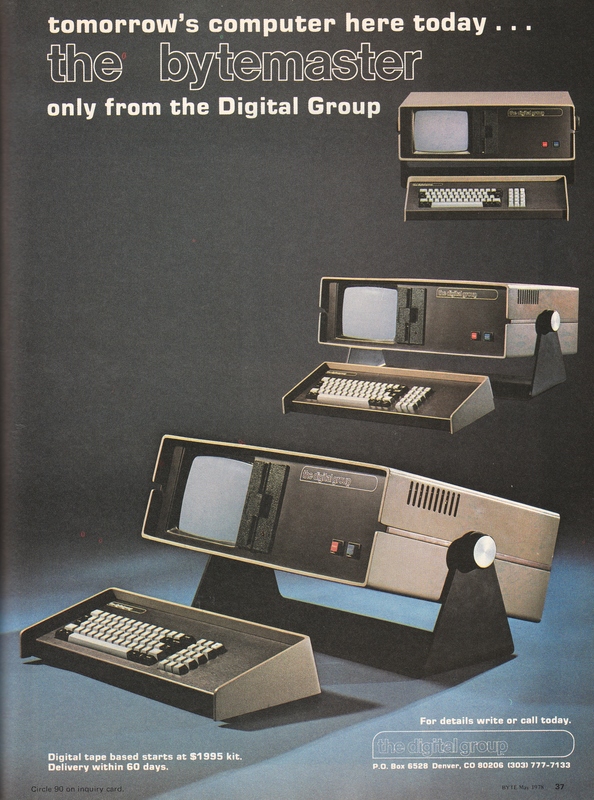 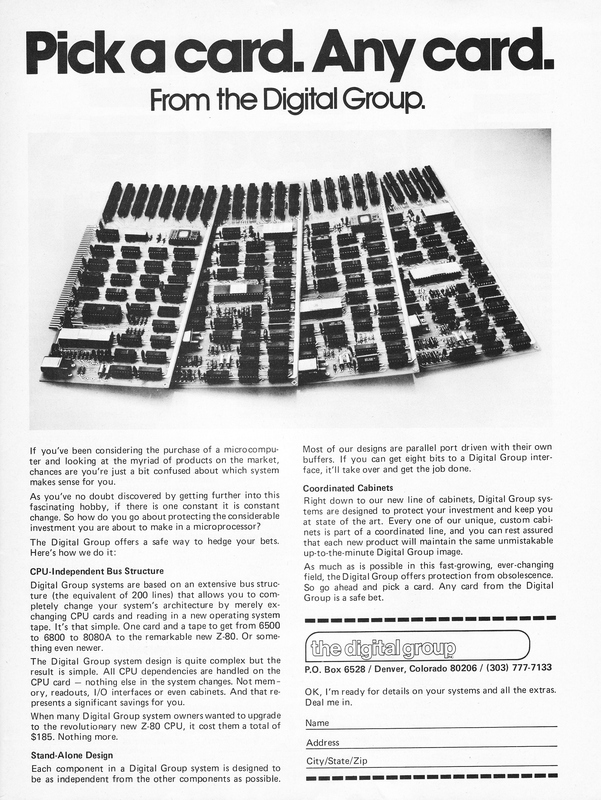 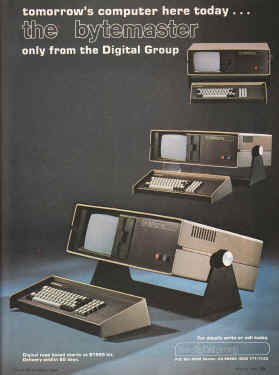 The Digital Group had some very eye pleasing advertisements which ran in a variety of magazines. 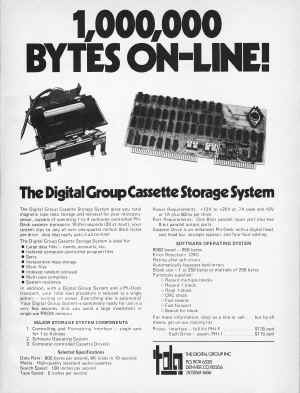 All but one of the scans below are from the pages of Byte Magazine. 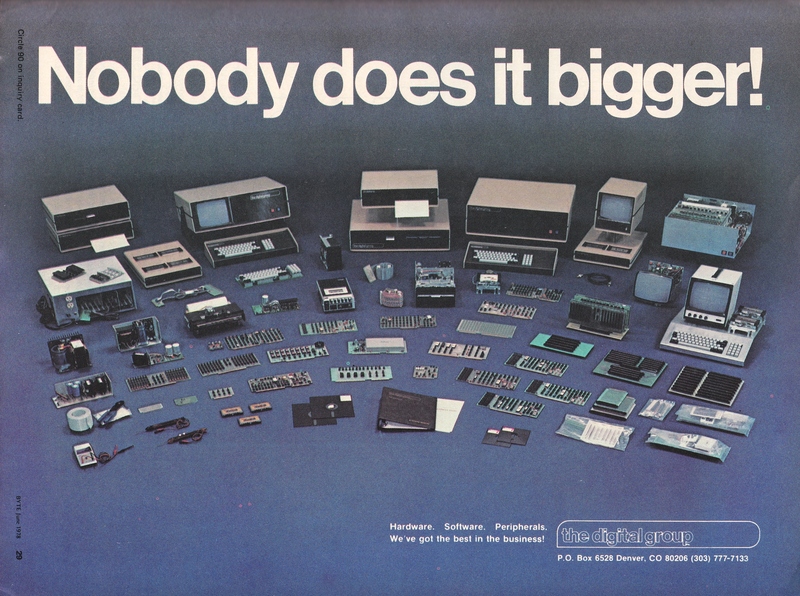 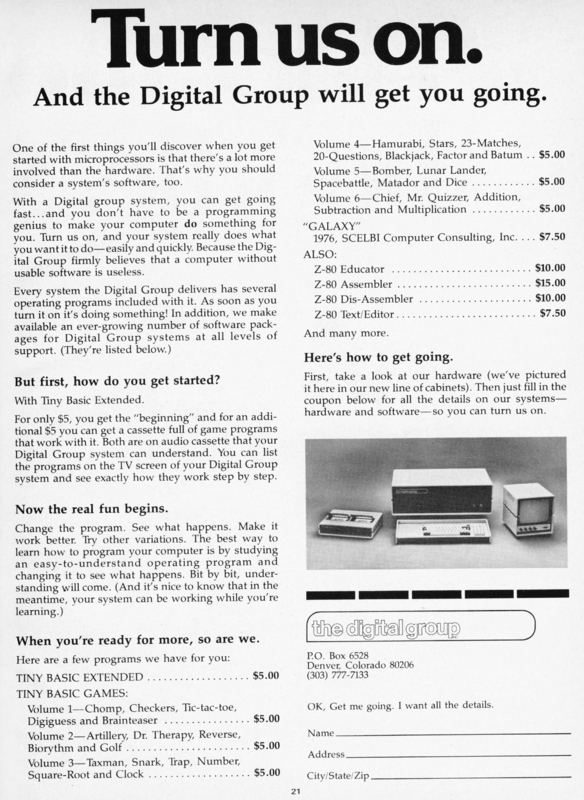 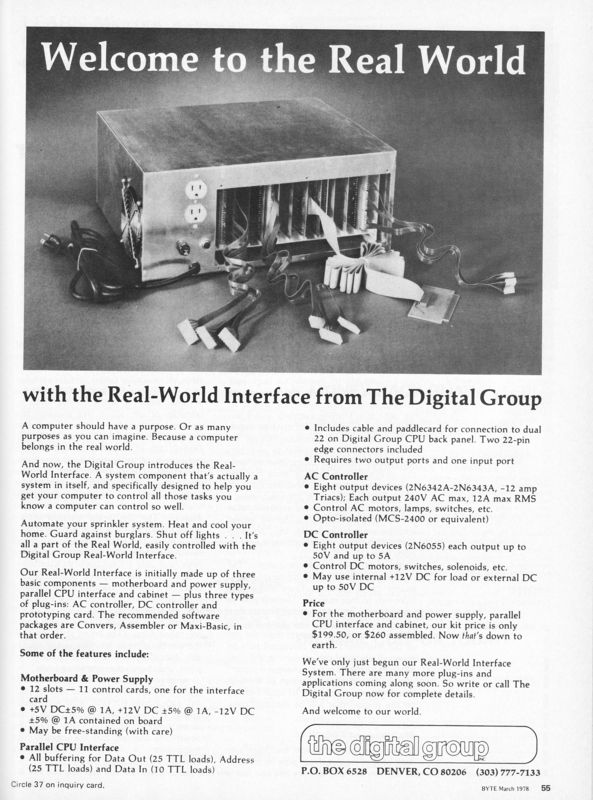 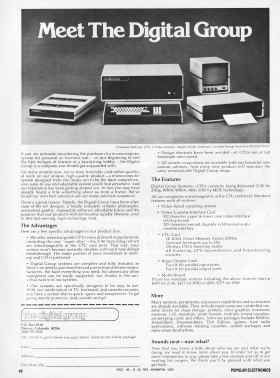 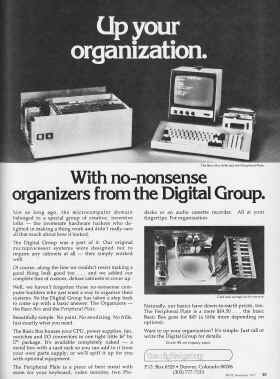 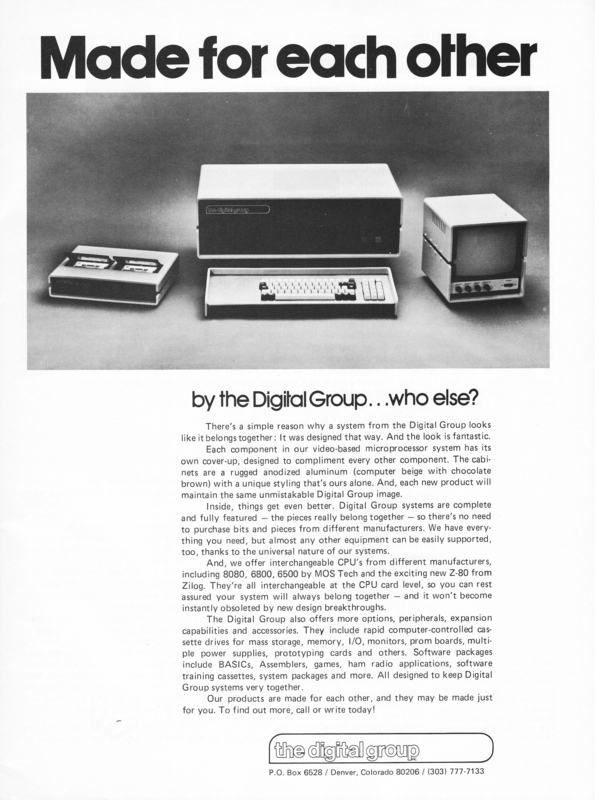 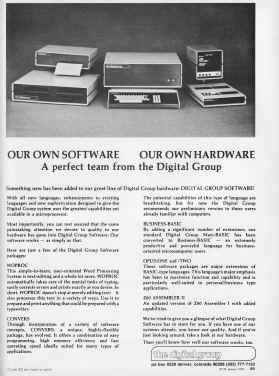 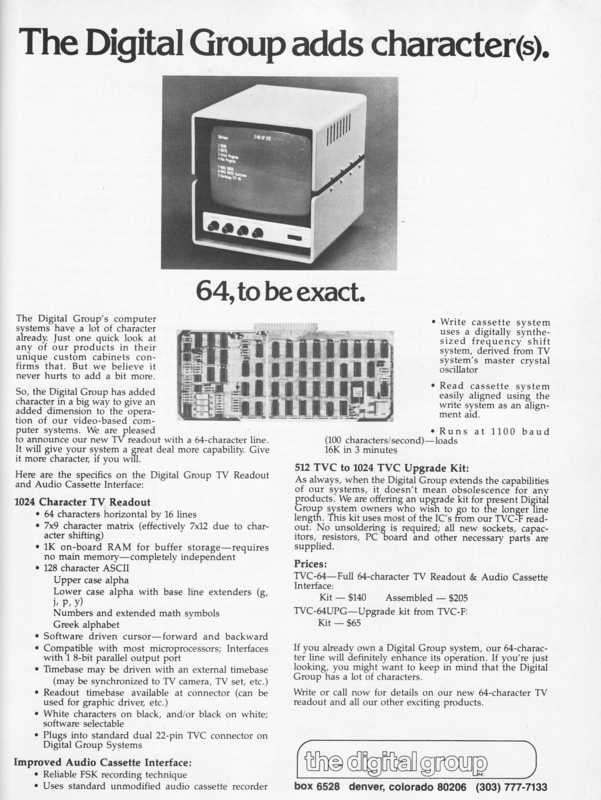 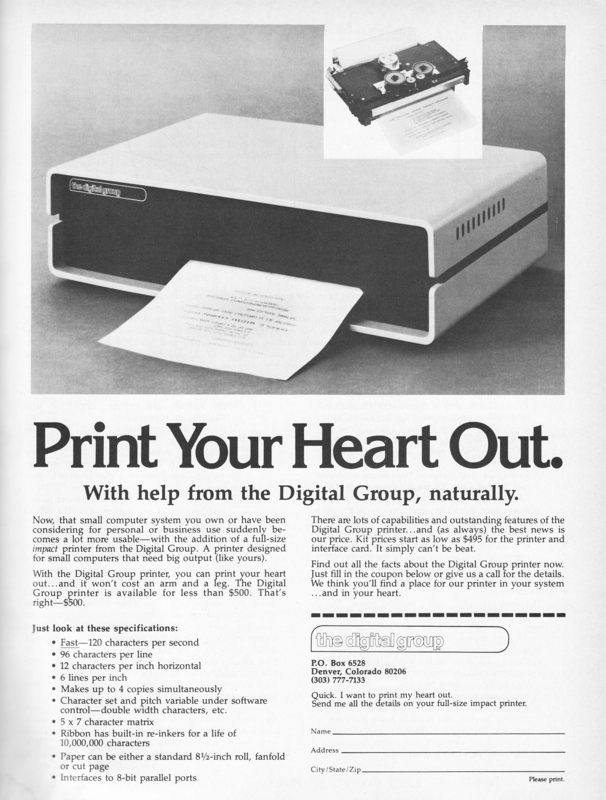 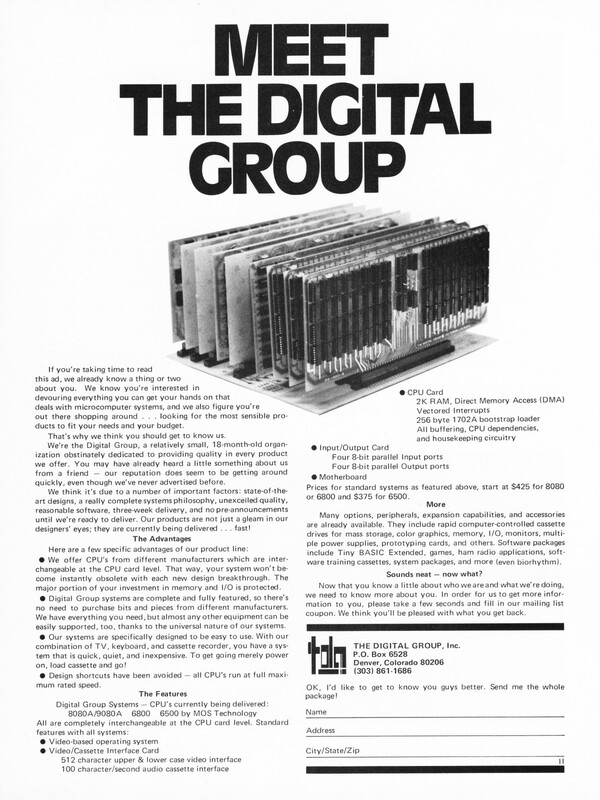 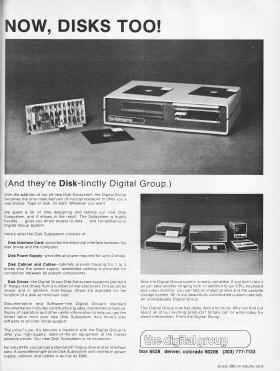 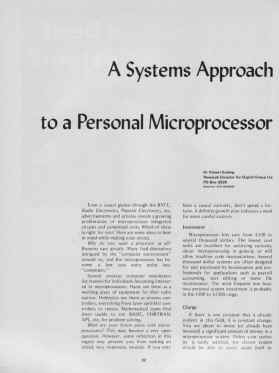 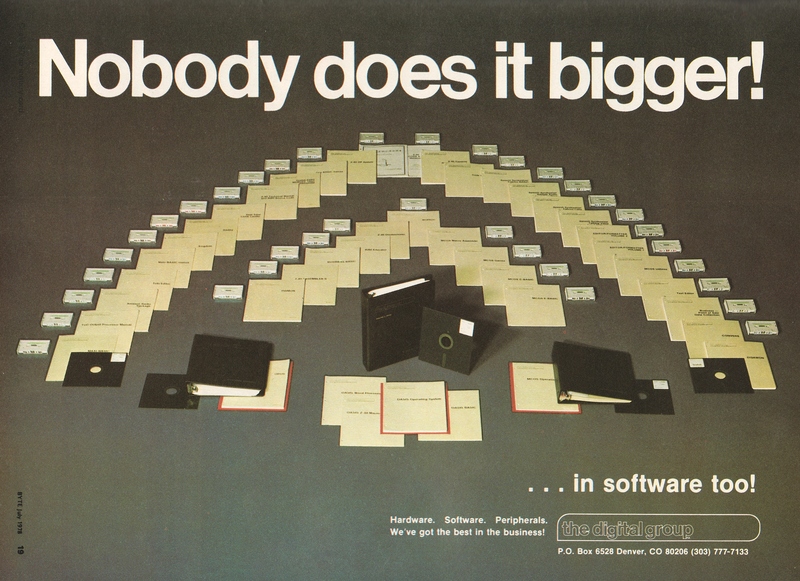 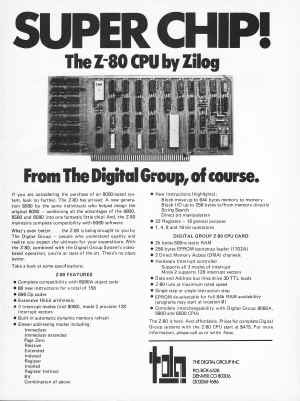 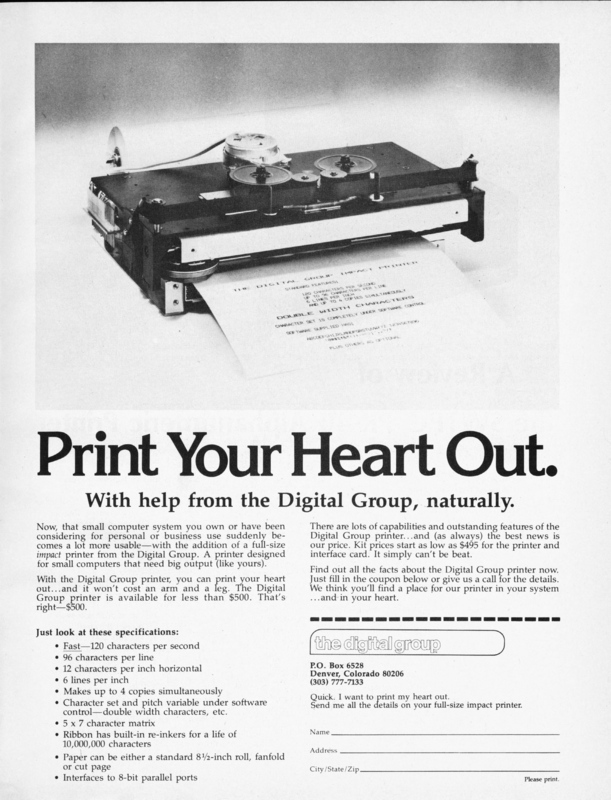 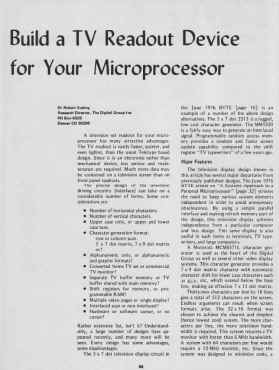 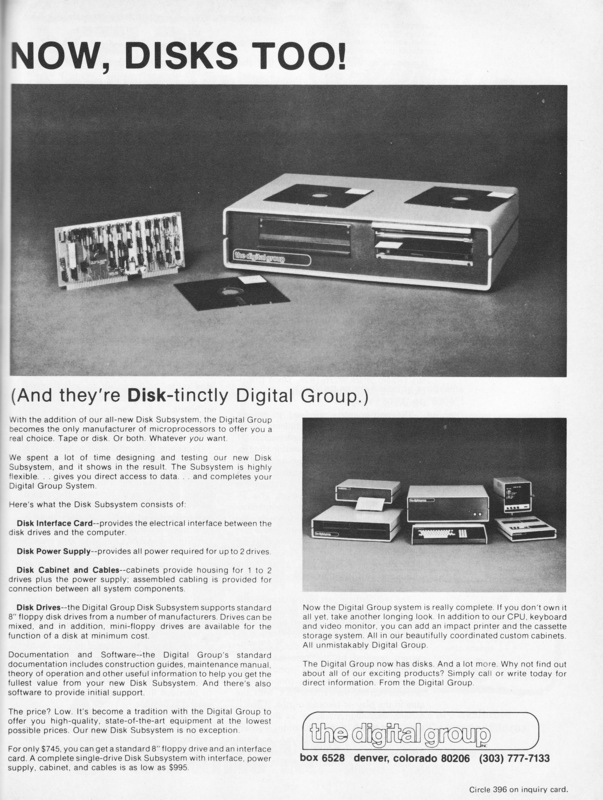 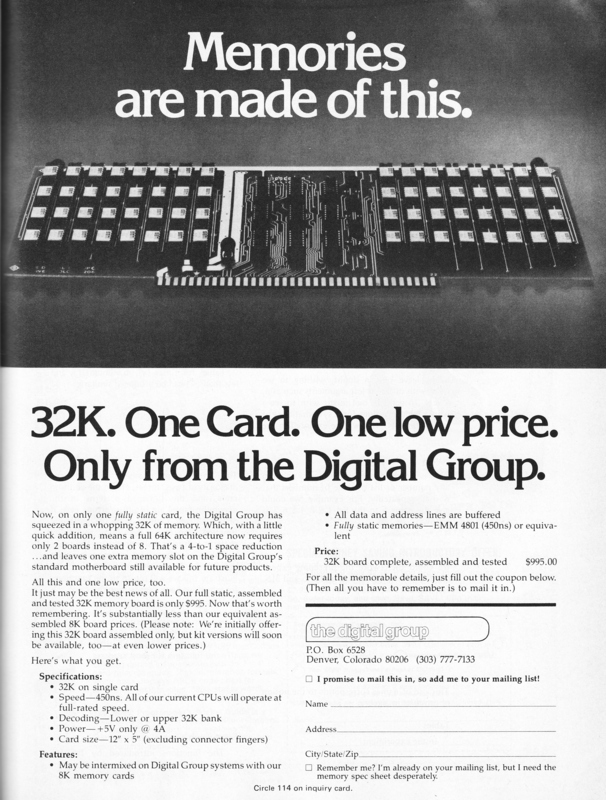 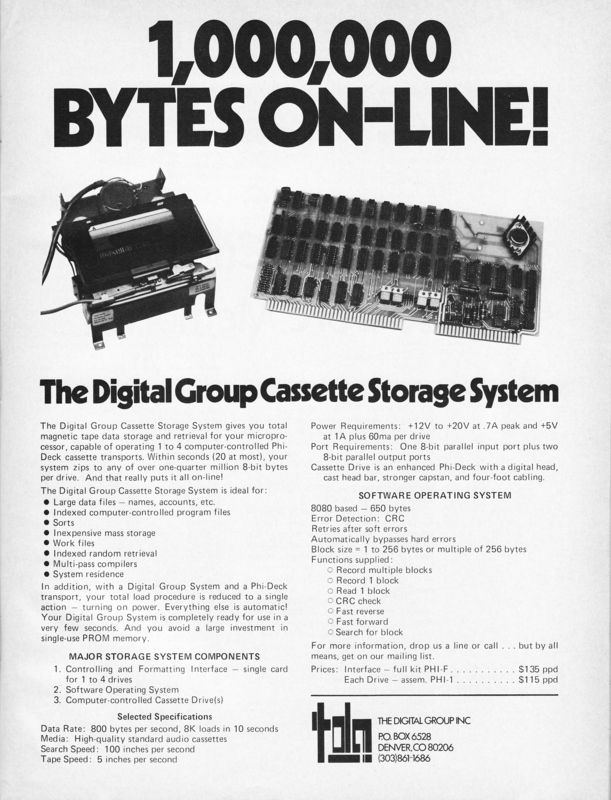 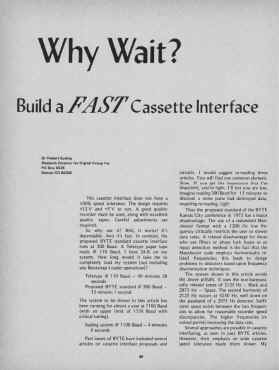 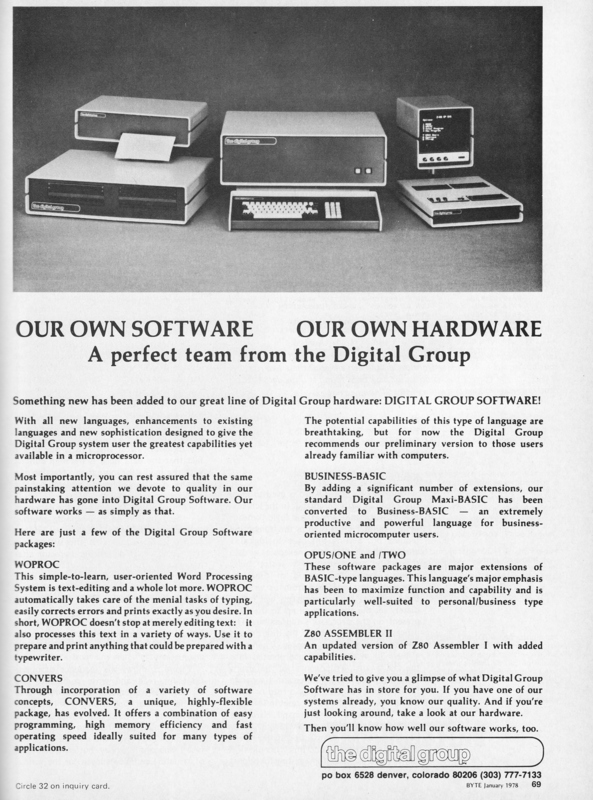 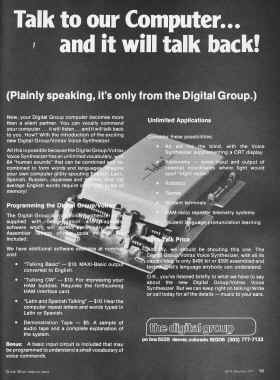 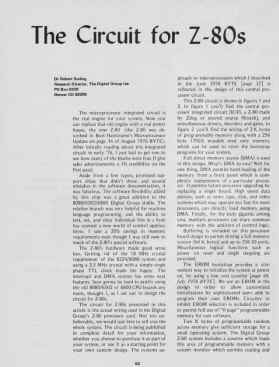 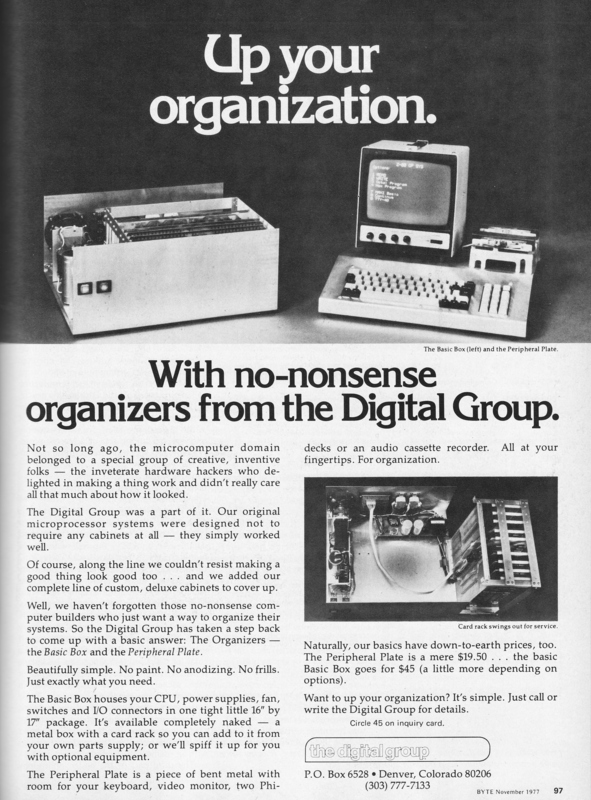 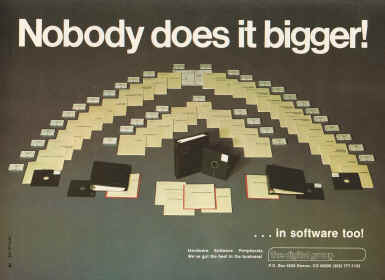 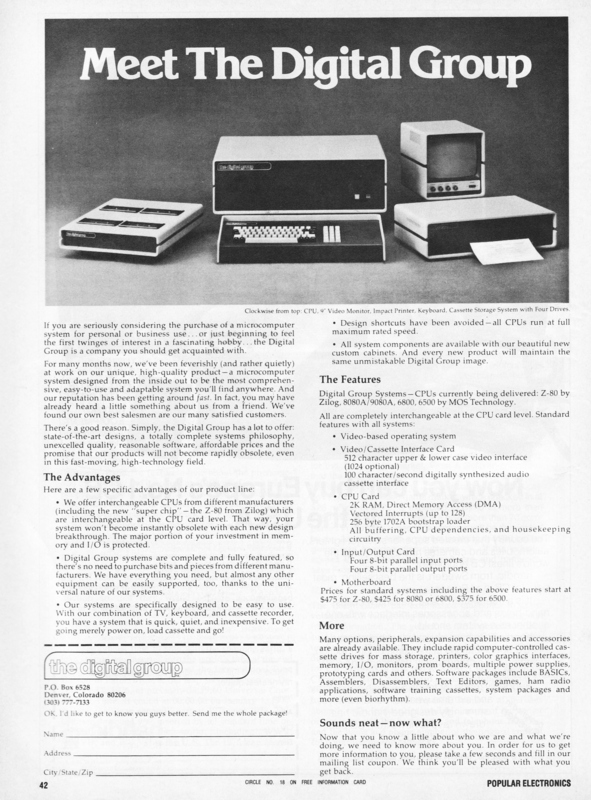 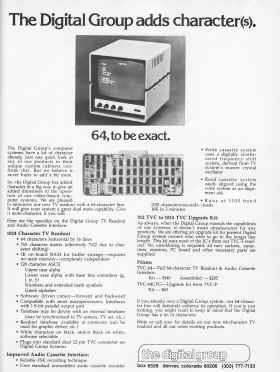 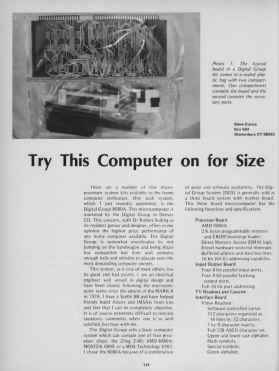 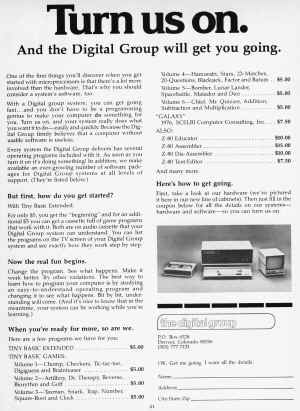 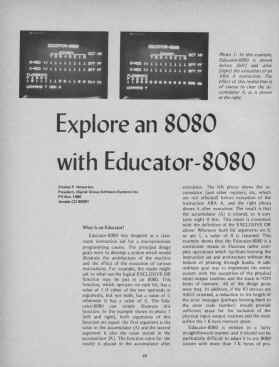 Since Byte was the leading computer magazine of the time, they were usually the first to get the new ad copy--I have not verified this in every case, but it is a reasonable assumption. 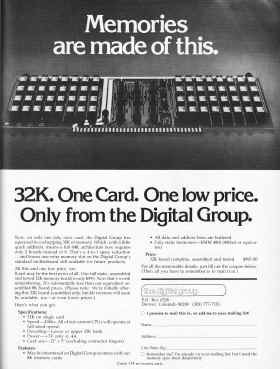 In short, it is possible these ads might have run somewhere else first. 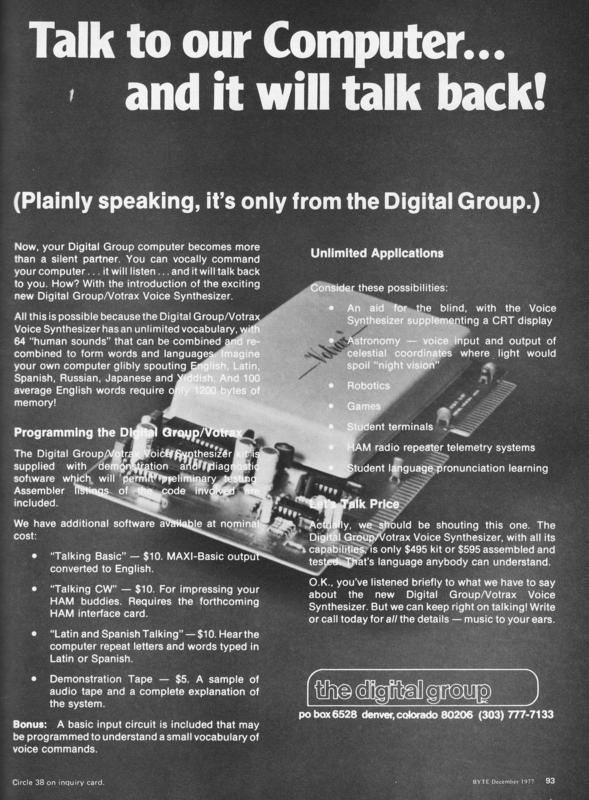 The date shown below each is the earliest date that the ad appeared, but not every scan is from that particular issue. 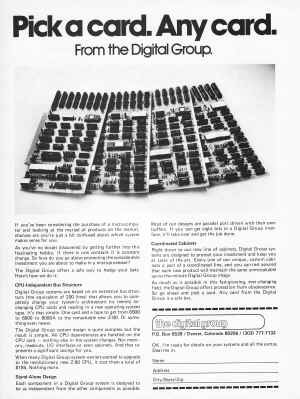 I have also included several articles written by the DG folks and one article written specifically about about DG. 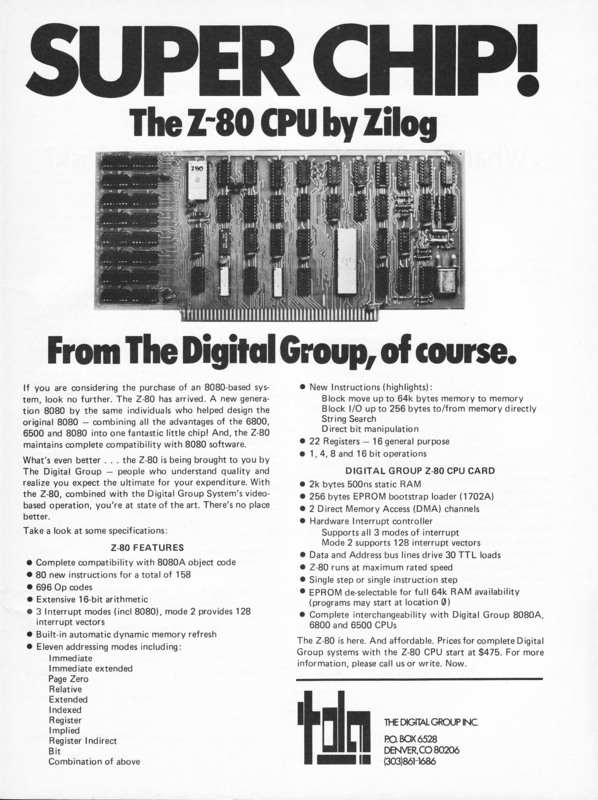 Since these were written as part of an advertising strategy (except for one) , they are included here. 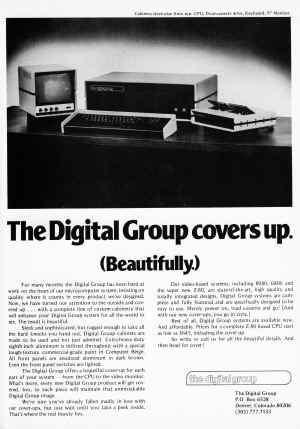 If I run across an ad that differs notably from this collection, I will scan it and add it later--but for now, this is it! 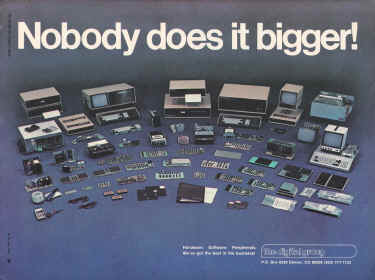 :) --Enjoy.